We are experts in Machine Washers / Non Standard Special Machine Washers. We use a CNC machine to ensure our products meet your exacting specifications and are able to manufacture washers in any outside diameter, inside diameter and thickness. With our range of materials, no matter what your application, we have a washer for you. 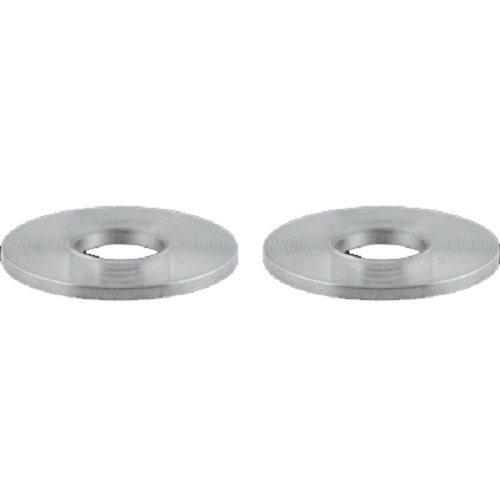 Tradewell Ferromet Pvt Ltd can provide Cold Forged & Hot Forged Machine Washers / Non Standard Special Machine Washers with complete material compliance as both Metric & Imperial Inch sizes. Types of coating for machine washers / non standard special machine washers that can be offered are electro zinc plating, hot dip galvanizing, ptfe fluorocarbon coating, aluminizing, ceramic filled fluorocarbon coating, nickel plating, zinc coating, electro zinc cobalt plating, electro zinc nickel plating, phosphate coating, electro less nickel plating, electro cadmium plating, dacromert 320 / 500 coating, pickled passivated, silver plating, chrome plating, etc. Various applications of Machine Washers / Non Standard Special Machine Washers are boiler & heat exchanger manufacturers, petroleum refining units, metal processing & mining industry, nuclear & thermal power plants, oil & gas extraction rigs, aerospace & aeronautical sector, electric motors & pumps, power generation, heavy equipment, agriculture, appliances, ship building, automotive, general industrial, etc. Packaging Details Wooden Box/ Plastic Bags/ Wooden crating or as per clients request. We are exporter/ supplier of Machine Washers / Non Standard Special Machine Washers from associated manufacturer & looking to cater our supplies to Albania/ Algeria/ Andorra/ Angola/ Antigua and Barbuda/ Argentina/ Armenia/ Aruba/ Australia/ Austria/ Azerbaijan/ Bahamas/ Bahrain/ Bangladesh/ Barbados/ Belarus/ Belgium/ Belize/ Benin/ Bhutan/ Bolivia/ Bosnia and Herzegovina/ Botswana/ Brazil/ Brunei/ Bulgaria/ Burkina Faso/ Burma/ Burundi/ Cambodia/ Cameroon/ Canada/ Cabo Verde/ Chad/ Chile/ Colombia/ Comoros/ Congo/ Costa Rica/ Cote d'Ivoire/ Croatia/ Cuba/ Curacao/ Cyprus/ Czechia/ Denmark/ Djibouti/ Dominica/ Ecuador/ Egypt/ El Salvador/ Eritrea/ Estonia/ Ethiopia/ Fiji/ Finland/ France/ Gabon/ Gambia/ Georgia/ Germany/ Ghana/ Greece/ Grenada/ Guatemala/ Guinea/ Guinea-Bissau/ Guyana/ Haiti/ Holy See/ Honduras/ Hong Kong/ Hungary/ Iceland/ India/ Indonesia/ Iran/ Ireland/ Israel/ Italy/ Jamaica/ Japan/ Jordan/ Kenya/ Kiribati/ South Korea/ Kosovo/ Kuwait/ Kyrgyzstan/ Laos/ Latvia/ Lebanon/ Lesotho/ Liberia/ Libya/ Liechtenstein/ Lithuania/ Luxembourg/ Macau/ Macedonia/ Madagascar/ Malawi/ Malaysia/ Maldives/ Mali/ Malta/ Marshall Islands/ Mauritania/ Mauritius/ Mexico/ Micronesia/ Moldova/ Monaco/ Mongolia/ Montenegro/ Morocco/ Mozambique/ Namibia/ Nauru/ Nepal/ Netherlands/ New Zealand/ Icaragua/ Niger/ Nigeria/ Norway/ Oman/ Palau/ Panama/ Guinea/ Paraguay/ Peru/ Philippines/ Poland/ Portugal/ Qatar/ Romania/ Russia/ Rwanda/ Samoa/ San Marino/ Saudi Arabia/ Senegal/ Serbia/ Seychelles/ Sierra Leone/ Singapore/ Sint Maarten/ Slovakia/ Slovenia/ Solomon Islands/ Somalia/ South Africa/ South Korea/ South Sudan/ Spain/ Sri Lanka/ Swaziland/ Sweden/ Switzerland/ Tanzania/ Thailand/ Togo/ Tonga/ Trinidad and Tobago/ Tunisia/ Turkey/ Turkmenistan/ Tuvalu/ Uganda/ Ukraine/ United Arab Emirates/ United Kingdom/ Uruguay/ Vanuatu/ Venezuela/ Vietnam/ Yemen/ Zambia/ Zimbabwe/ etc.